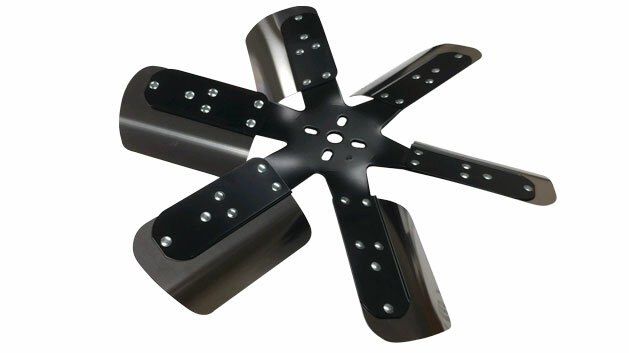 Tom's Bronco Parts' Exclusive New Steel Fan Shroud is a must for the 66-77 Classic Ford Bronco. The fan shroud is made of steel, comes powder coated and won't crack like the original fiberglass or aftermarket plastic shrouds. Remember the fan shroud is crucial in cooling the engine by helping direct the air being pulled through the cooling fins in the radiator core. Without the shroud the air is not directly pulled through the core and loss of cooling is a factor. The shroud is also an important safety feature, protecting you from the fan blades when the engine is running. Fits 66-77 Ford Broncos with 289, 302 or 351w V8 engine. 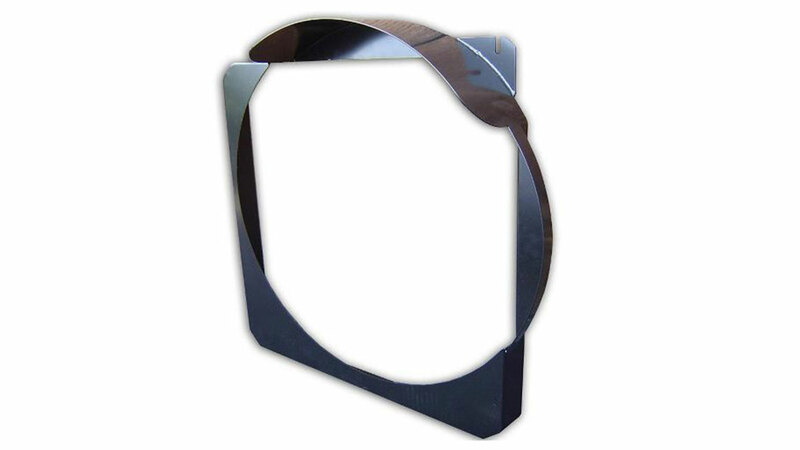 Upgrade from original, this part is made of steel and black powder-coated.